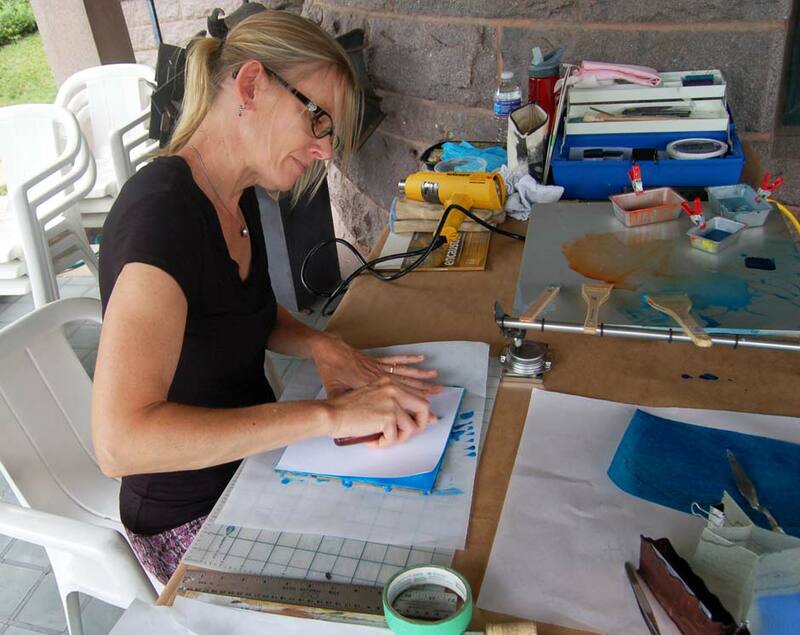 Jennifer Terpstra demonstrating her use of encaustic media for gallery visitors. 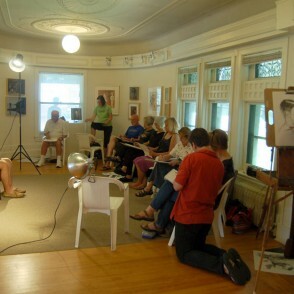 A drawing workshop in session in the main gallery. 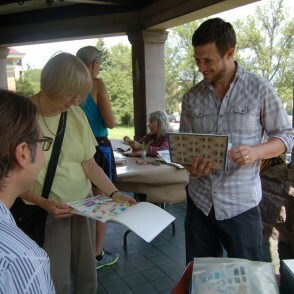 Justin Terlecki sharing his sketchbooks with gallery visitors. 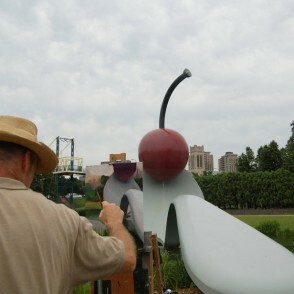 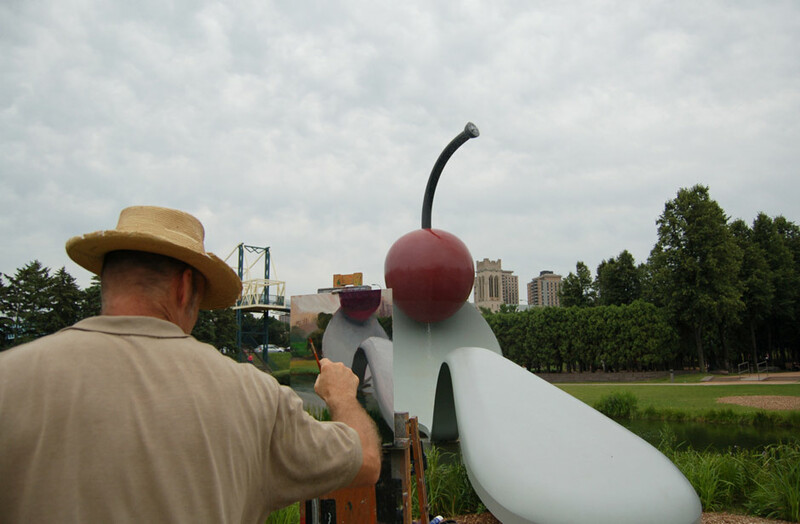 Guest artist Scott Lloyd Anderson painting at the Minneapolis Sculpture Garden. 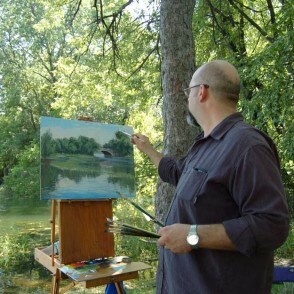 Fred Anderson painting at Kenwood Park. 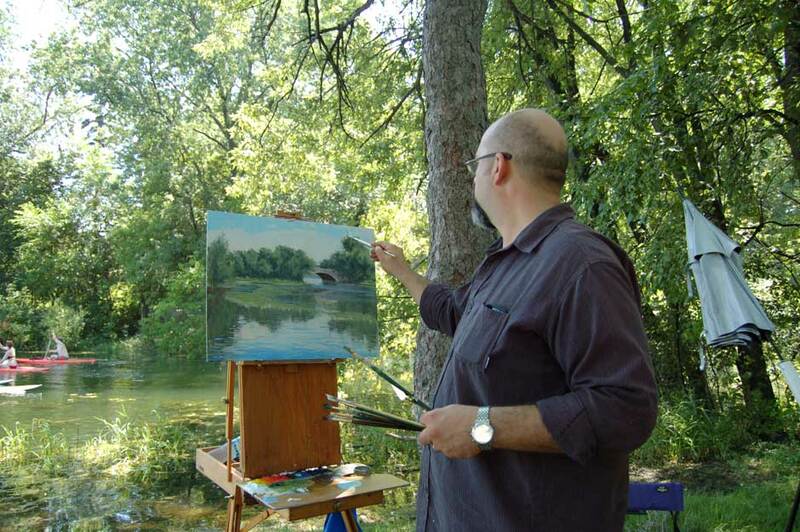 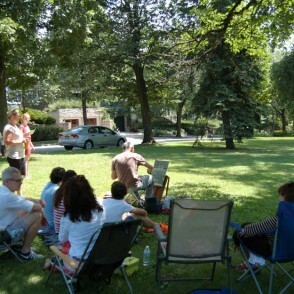 Guest artist Joshua Cunningham painting at the lagoon between Lake of the Isles and Cedar Lake. 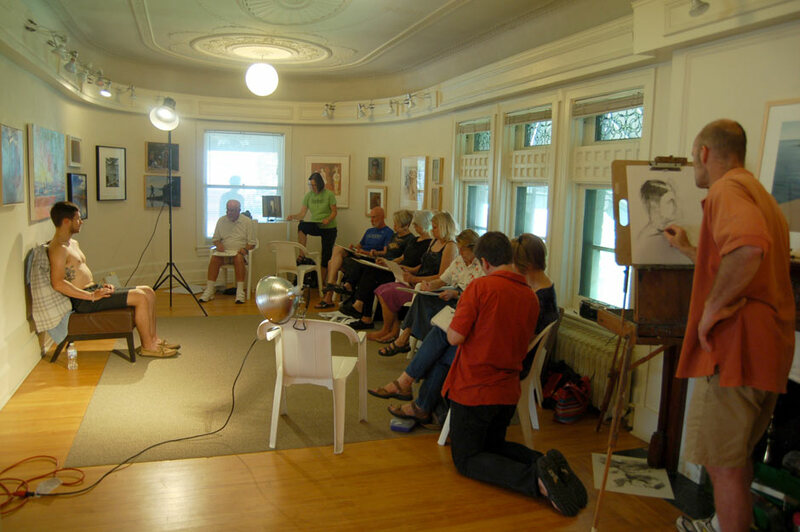 Groveland Gallery is pleased to announce the return of its annual summer series of special exhibitions and events. 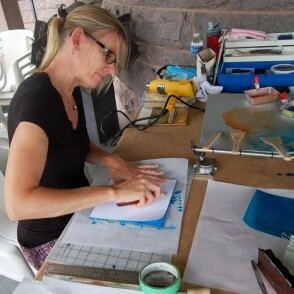 This summer-long spotlight on local artists begins on Friday, June 12 with the opening of two new exhibitions featuring gallery and guest artists. 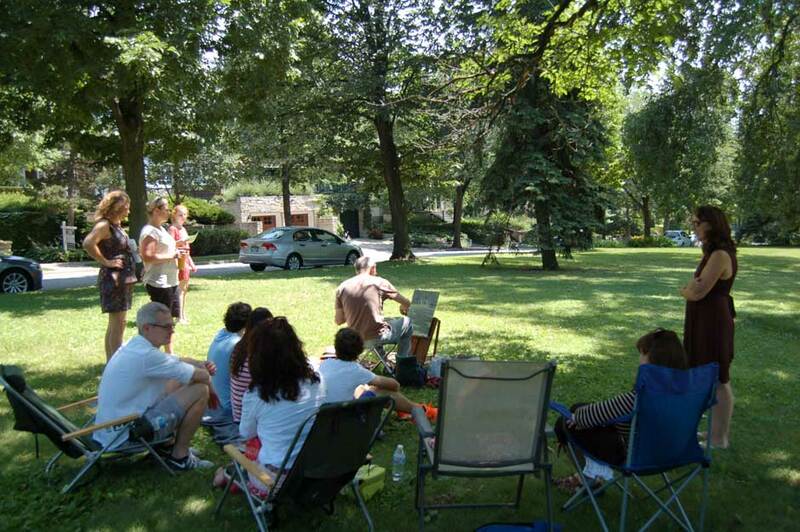 Several popular annual events will accompany the gallery’s summer-long group shows, including three weekend Porch Painter Demonstrations, a Figure-Drawing Workshop and the fifth annual Plein Air SmackDown. 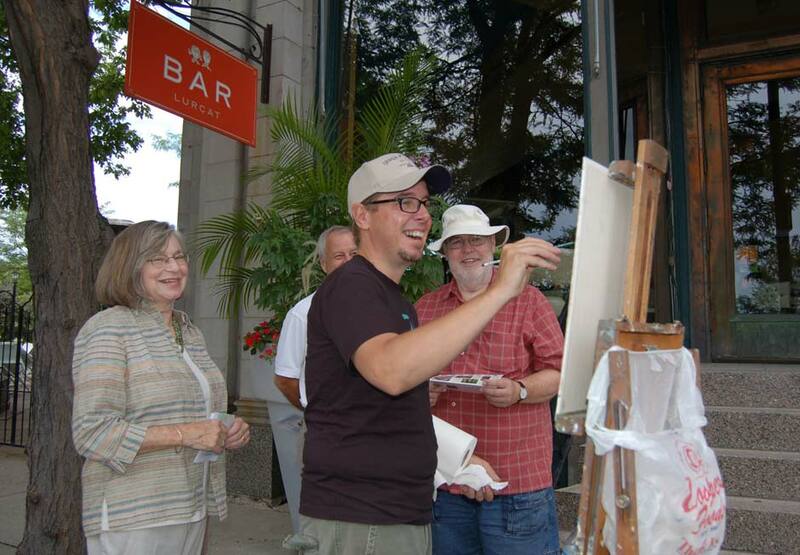 In addition, Groveland Gallery is participating in a Minneapolis Gallery Crawl on Thursday, June 18. 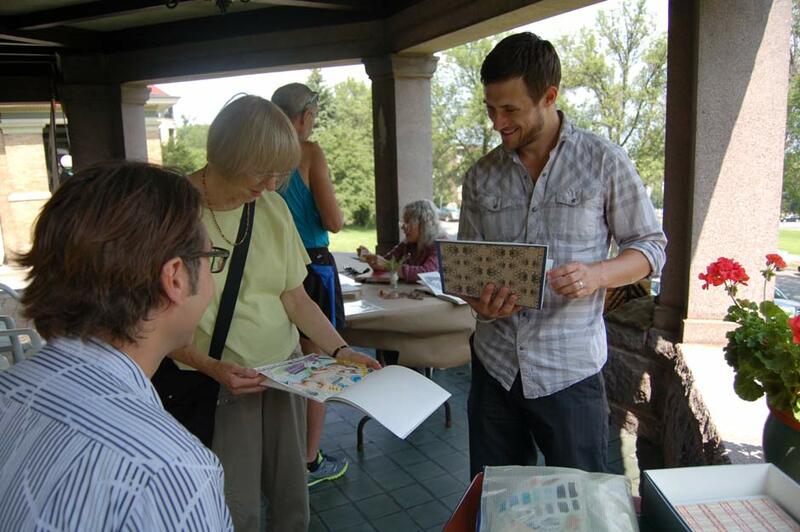 Thursday, June 18, 5-9 pm | Minneapolis Gallery Crawl – Groveland joins SooVAC, Circa, Instinct, Burnet and Gamut to host a special night of gallery hours.